Mr. Lhota said that Mr. de Blasio’s “knee-jerk response to any new program is to raise taxes,” an approach he said was “instinctively wrong.” Instead, Mr. Lhota said the mayor should look to find efficiencies in the city’s budget. Ah…you can’t make this stuff up. A “knee-jerk” response to increase revenue is bad, but cutting the budget is obviously good, especially since he and his friends will not even feel it. But how does he know this for a fact? Raising taxes is “instinctively wrong.” Might we say that Mr. Lhota has a knee-jerk response to tax hikes on the wealthy? Sure seems like it. It’s just pure instinct. Of course, Mr. Lhota’s response to increased taxes for the wealthy may be instinct only among his social circle, so it is probably a learned response, with no instinct involved at all, but it sure seems like a reflex! He mounted a direct attack on Mr. de Blasio’s “tale of two cities” campaign theme, saying that Mr. de Blasio was trying to “separate classes” as a political strategy. 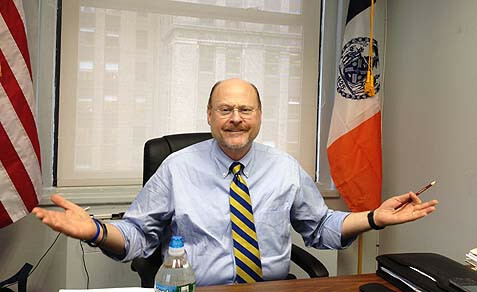 I would like to know what level of invective is appropriate in a campaign according to Mr. Lhota? Tale of two cities seems rather tame to me. By all means, let’s work together to raise taxes on Mr. Lhota. I put Victor Serge alongside of Vasily Grossman as an awe-inspiring Russian writer of whom I knew next to nothing, brought to my attention by the wonderful New York Review of Books Press (and also by my friend who recommended Kolyma Tales.) 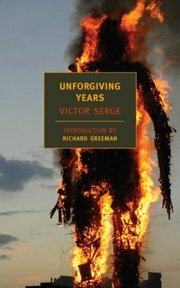 Serge’s novels are not, in fact, well known at all; certainly not here in America. He wrote in French, was published in French, and was saved from death in the Gulag because of the outcry of French literary intellectuals who were acquainted with his work. Good thing he knew French! His novels were only first published in English in the early 1970s. Serge was born Victor Lvovich Kibalchich, in 1890, the son of anti-Tsarist agitators living in exile in Belgium. He grew up in the militant atmosphere of exiled socialist-communist revolutionaries, and only set foot in Russia in 1919, after years of agitation, prison, writing, various exiles, and a life of poverty. He landed in Petrograd/Saint Petersburg/Petersburg/Leningrad in the midst of the terrifying five-year Russian Civil War, and threw himself into The Revolution. He remained a committed revolutionary, but retained his fierce independent (was it anarchist?) bent, and was quick to recognize the ‘betrayal of The Revolution’ that Stalin represented. From there, it was all downhill. His writings are unique in their blend of intense sympathy for the revolutionary cause, their unflinching recognition of the crimes committed in its name, their profound disgust with the course of the Soviet revolution, their poetic style, and the modernistic techniques he absorbed from European literary developments. No plain social realism, no bitter denunciations of the cause betrayed, no simple answers. Most interesting to me: he focuses like a laser on the questions of just how people can believe they are struggling for the better future of humanity while committing acts they know to be outrageous crimes; and why did so many people simply carry on with their work, fatalistically expecting to be unjustly arrested, tried, and perhaps executed? The shortest of these three novels here, Conquered City, was the first written, and takes place in Petrograd during the siege he witnessed beginning in 1919. The physical privation of citizens is horrifying. 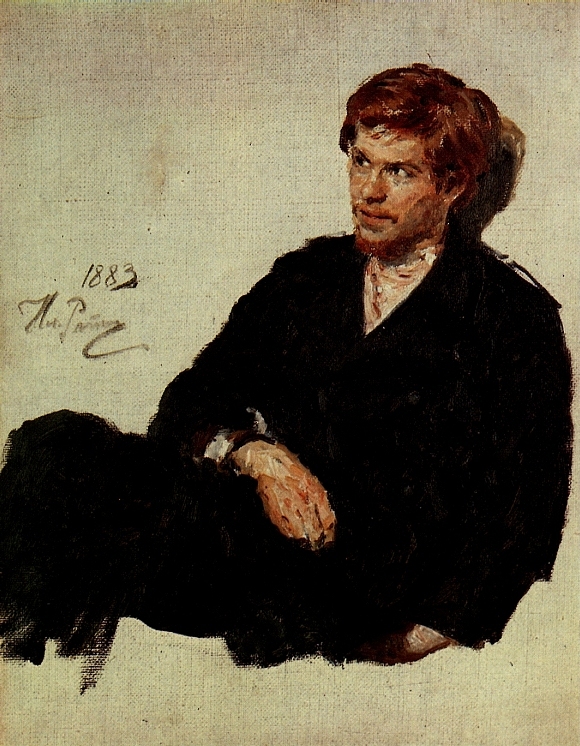 The novel is actually a series of vignettes, some of which take place out of the city on the various fronts of the civil war, and which introduce characters from all realms of the Russian Empire: bandits, intellectuals, proletarian communists, proletarian White sympathizers, counter-revolutionaries, Party leaders, and on. Serge depicts them all with sympathy, yes, even the counter-revolutionaries! Throughout, all are subject to terror: the Red Terror, or the White Terror. One episode involves a dedicated young woman communist, hell-bent on “getting a case [investigation of a counter-revolutionary cell] moving.” She is enthusiastic, relentless, and totally committed to the cause, with little thought for…well, anything. She cracks the case. It turns out that a well planted worker is actually an enemy agent, and the lover of a formerly middle-class young woman. Turns out that this woman was friendly with a well-respected, energetic, young communist agent, Arkady. The woman’s brother was ‘suspected’ of something – wasn’t everyone? – and was hauled in for questioning. Arkady knew immediately it was all garbage, and got the fellow released. Now the man’s sister is known to be the lover of a man who is known to be an enemy of the people, and Arkady released his brother! He’s done for, and he knows it. Osipov, his friend, arrests him. “What have you done, my poor old friend, what have you done!” They shake hands. Class war is a dirty business, but “it must be done.” These views recur again and again through the books. With views like that, people will do anything. 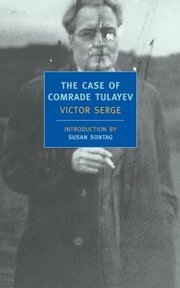 The Case of Comrade Tulayev may be Serge’s best known novel, and I found it to be the most extraordinary of the three. It takes place at the height of the Great Purge of the late 1930s triggered by the assassination of Kirov. A young man gets hold of a revolver, determined to kill Stalin. On his nightly walks, he actually sees him occasionally, stepping into a limousine at a Kremlin gate. With the revolver in hand, he approaches the gate again, and Stalin is there! But he totally looses his nerve, and walks on. A little later, he sees another Party boss – it’s Tulayev, yes, certainly it’s that murderous scum! He’s being dropped at the door of his mistress’ apartment. He walks up to him, shoots him, and runs. The ripples of terror immediately spread far and wide. As someone wrote of Kruschev, commenting on his secret speech denouncing Stalin’s crimes, he too was up to his elbows in blood. They all knew the score. They had quotas for arrests, imprisonment, execution… Amazing that through all this, Serge still manages to convey why these people got into this in the first place: their intense thirst for justice, fairness, an end to the crushing tyrannical poverty of the old regime, and a deeply felt desire for a society in which human equality is prized. To note this as an irony is so obvious as to be ridiculous. Unforgiving Years is the last of the three that I read, and the strangest in many ways. 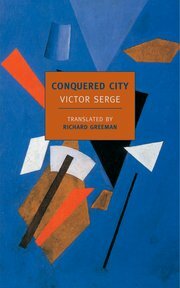 In this book, Serge adopts a style that is at times elliptical, modernistic, and sometimes seems hallucinatory. It is the tale of a communist agent who has had enough – he can’t go on, and he decides to escape to Mexico. He knows the machinations of the security apparatus and how hard they are to evade, and he knows that his knowledge only gives him a little head start over his inevitable pursuers. There’s also the business of his lover: he wants to take her too, and that makes it harder. In every war there is a rear that holds better than the front, a rear fat with noble sentiments, creature comforts, and lucrative deals: this rear, which balances the front, makes the insanity total…The beaches of California still exhibit, in season, a full complement of pretty women with smiling thighs: such is the natural order of things. After all, there’s philosophical solace to be found in the fact that some still live while others die, an obvious improvement on everyone dying…But it is no longer possible to embark upon a coherent line of reasoning without falling into absurdity. This novel was published in English in 1970, about the time Gravity’s Rainbow came out, but who knows? Maybe Pynchon read it in French? The ending of the story takes place in a paradisaical Mexican mountain setting but has all the weirdness and menace of the finale of Jim Thompson’s The Getaway. Knowing as we do the end which Trotsky met in hiding, it is no surprise what happens, but just how the long arm of the Party reaches out to crush those who stray is terrifying nevertheless. Not exactly happy reading these three books, but Victor Serge is a novelist for the ages – brilliant! From film noir to la politique noir, and I don’t mean ‘black politics’, as in Black Power. My reading and viewing have converged at what Philip Pomper, in his biography of Sergei Nechaev, calls, “[the] striking lesson in the disastrous possibilities of revolutionary politics.” Extreme disturbed personalities, fantastic rhetoric, and violence. Patty Hearst, Dostoyevsky’s Demons, Ed Begley as a lunatic Texan Cold Warrior, and Nechaev, fact and fiction. Let’s start with Ms. Hearst. Patty Hearst, a film from 1988, directed by Paul Schrader, with Natasha Richardson in the lead, is hard to find, but you can get it on DVD. It doesn’t seem to be an official release, whatever that means, but it is a very fine dramatization of this crazy episode in revolutionary fringe politics. Schrader is sympathetic to, but not sentimental about Hearst: a young, sheltered girl who thought she knew a thing or two about the world is kidnapped and kept in a closet for weeks, blindfolded and gagged, treated like a dog, and raped (made a sperm receptacle) by her captors, male, and it seems female as well. We would all like to think that we would come through this okay, and escape at the first opportunity, rather than imploding and joining the gang, so, as she tells us at the end, her survival, ‘rescue’, and trial were mightily inconvenient for the mass audience following every sordid minute of the tale. I’ve written about the Symbionese Liberation Front and their rhetoric before, and the film does a great job of dramatizing it. Ving Rhames (Marsellus in Pulp Fiction) uses that deep voice of his to convey the incantatory and delusional charisma of Field Marshal Cinque. The thing is, that as I’m watching it, I’m thinking of Dostoyevsky’s novel, Demons. After Patty has joined The Cause, and is helping plan a bank job, she asks, “Will the rest of The Army help us with it?” Everyone chuckles, and Cinque replies, “It’s just us, there is no army.” Did Pyotr Verkhovensky really have a network of cells communicating with him? Some characters wondered. The similarities multiply. The members of Hearst’s cell are all white, except for their leader, Cinque, and they all have a major case of white radical guilt. When Hearst complains that she is hungry, they tell her “This is how black people in our country live every day! You don’t know!” Every word Cinque utters is considered brilliant. At one point, a cell member responds to a rather inept and non-sequitur comment with, “Brilliant, that’s brilliant! Goddamn it , goddamn I wish I was black!” Later, he is shown in blackface makeup, the usual disguise they use, attempting to strike a streetwise pose. This corrosive guilt and lack of self-esteem it brings to political thinking was not new in the 60’s: Nechaev was very successful in exploiting it in his recruitment of middle-class and upper-class Russians of his own time. What I found surprising regarding Demons, is how closely some parts of the novel are modeled on Nechaev’s life. The central murder of the book, in fact, conforms almost exactly to the facts of the case – the botched disposal of the corpse in a pond; luring the victim with a story of a buried press; and the almost comic disorganization of the killers. We must recall, after all, that Dostoyevsky originally was planning a comic burlesque of nihilist politics when he began his story. The Wise Serpent of Demons, combines many of Nechaev’s personality traits with a cunning and slyness that the real-life figure lacked. Nechaev moved with clumsy and ill-concealed cynicism towards his goals, eventually disgusting most of those he worked with in the revolutionary underground. Still, he was committed to the cause, fanatically, so they cut him a lot of slack. Pomper dissects his life with a lens tinted with psychoanalytic hues, but not intrusively so: the Oedipal, infantile anti-authoritarian, and perverse sexual mental contortions of his thinking are quite plain in his writings. One of his favorite propaganda tropes was to depict the orgiastic and revolting sexual activities of the Tsar, the nobles, or of whomever he was attacking. Obviously, this sort of rhetoric has a long history – often turned against Jews – and it had a grand future, being part of the revolutionary stock in trade right up to 1917. His language makes use of religious themes as well, particularly martyrdom, for which he planned, and is in this way curiously linked to the imagery of What Is to Be Done? I originally bought Pomper’s biography hoping to find more writings of Nechaev’s, but apart from some letters, and excerpts from articles he wrote, and, of course, the full text of his Catechism, there was not much. I was particularly disappointed by the absence of a translation of his Foundations for a Future Social Order, the document in which he lays out his plans for society after the revolutionary transformation. From the bits I have read of and about it, it is a grim vision of a militantly regimented society that seems drawn from the history of ancient Sparta and Fourier’s utopian plans. What particularly upset some (according to Nechaev) were his notions of communal dining. This led to Marx’s famous contemptuous dismissal of his ideas as “barracks communism.” In his world, Pechorin would be less than superfluous: he would be a pest to be exterminated. Was Nechaev on his mind when Italo Calvino wrote Beheading the Heads? In this short story, a tourist happens upon a land where the leaders are ritually executed periodically (as were some kings in ancient times, if The Golden Bough is to be believed). The action then jumps back in time to show us the nihilist cells planning for The Revolution, after which there will be no leaders other than those who agree to die, and so prevent tyranny. One man questions whether they should not ritually execute the leaders of their cells since that is what they plan for society. Are they not hypocrites if they do not? Naturally, there is some hesitation on this point amongst the revolutionary heads. They hit upon a compromise: they will ritually mutilate the leaders at suitable intervals, leaving the post-revolutionary society to fully implement their plan. It concludes with descriptions of revolutionary activity led by men with no fingers, missing ears, sometimes a wooden leg, each vanished appendage a testament to their zeal for the New World Order. Finally, we have Ken Russell’s film, Billion Dollar Brain (1967), with the always enjoyable Michael Caine. It’s basically, a mediocre spy film that followed Caine’s work as Harry Palmer in The Ipcress File. The film is enlivened by Karl Malden playing an utter sleaze of an ex-agent gone ‘entrepreneur’ working for ‘General’ Midwinter (Ed Begley), a fanatical anti-communist zillionaire from Texas. Midwinter is angry at the world, at the government (the password between his men is always, “now is the Winter of our discontent“) and most of all at the commies. He has a secret plan to use germ warfare against the Russians while his private army of rebels in Latvia begin the dissolution of the Evil Empire. He mixes Christian fundamentalism with anti-Russian hellfire to work up enthusiasm among his ’employees’, while his plans are being completely undermined by Malden’s diversion of the mercenaries payroll into his own pocket. The Russians are onto him too, and they efficiently dispose of his army in an air attack on the frozen Baltic that brings to mind Alexander Nevksy’s victory at Novogorod. Perhaps it takes a Brit to penetrate to the center of the American Texas phenomenon. In this case, Russell’s exaggeration was no exaggeration. What are we to think of What Is to Be Done? I posted about it earlier, when I was partway through, commenting on its stilted dialog, its place in Russian history, and its lack of literary worth. Having finished it, I can say that it is a weird book, a fascinating book, and yes, a novel without literary merit. None at all – zilch. But since it is such an incredibly important book in the history of Russian literature, ideas, and revolutionary politics, it is nevertheless a fascinating read! If its only claims on our attention were that it stimulated Dostoyevsky to respond with his great anti-nihilist novel, Demons and his short novel, Notes from Underground, wouldn’t that be enough to make it worth our time? And add to that the inspiration it gave to generations of radical revolutionaries, who finally overthrew the Russian old order, and you have a book that is hard to resist. Why did I wait until now to read it! Nikolai Chernyshevsky published the novel in 1863, and wrote it while in the Peter-Paul fortress, where he had been imprisoned on trumped-up charges. The rest of his life, nearly twenty years, were spent in unproductive exile in Siberia. He was a revolutionary, although not one who actively involved himself in plots. 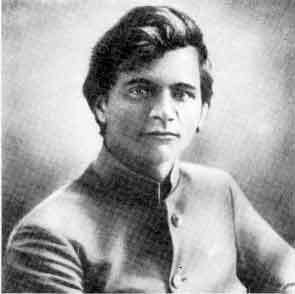 His appeal to the radical intellectuals of his day and afterwards was in his thorough rejection of the existing social order, his advocacy of complete and radical revolution, his scorn for reformist politics, and the mixture of traditional Russian cultural and religious themes with utopian socialist ideas from the West which form the material of What Is to Be Done? Why did he ask that question? Why were all the intelligentsy asking it? Because they were a vanishingly small class of educated and modern people living in a society that was more or less a holdover from the feudal age. A society dominated by church, the Tsar, and landowners with serfs, who were more or less slaves. The situation must have driven a thinking, secular, progressive person around the bend! Not for nothing does Chernyshevsky reference Uncle Tom’s Cabin at several points in the narrative: That book, a far superior literary work, also grew out of a maddeningly unjust social order against which it argued. What Chernyshevsky’s novel offered to the radicals of his day, if not a literary model, was an inspiring character model: the ‘New Ones,’ who would lead Russia into a revolutionary new social order. The men and women, free, independent, liberated from oppressive social mores, feminists and atheistic materialists all, who, with a noble dedication to bringing about the greatest good for all, would steadfastedly direct their efforts, guided by Reason, to The Revolution. They would educate and lead the masses to take what is theirs by right. If it sounds a tad too good to be true, we need only look at the history of the USSR to see what came of it, and say, “Yes, too good to be true.” The New Ones can easily become a vanguard of the masses that oppresses the masses. And these characters, who all speak like disciples of Ayn Rand (I would love to know what she thought of it!) even when they are discussing love and marriage, seem a wee bit on the nutty side. They are guided by a philosophy of Rational Egoism (not all that different from Rand’s ideas), but are convinced that pursuing their own interests will invariably benefit all the most. Ah, but the rub is defining one’s interests properly, and that’s not as simply logical as they would have it. Reading this book, and keeping in mind the insanity that passes for Reason in revolutionary politics at its worst, makes some things very clear. The weird, incestuous and fanatical nature of the Bolsheviks, so well described by Sebag-Montefiore and Nadezhda Mandelshtam. The incredible and ruthless violence against civilians, political opponents, and their own cadres of which they were capable…once the arguments had conclusively demonstrated the necessity of liquidating them. The style of argument, again Ayn Rand comes to mind, that uses Reason and Logic as a brick with which to hit you in the face. The characters in this book all speak with gentle affection, or controlled disdain, but…this is a novel. People inspired by it are apt to take with it the parts that appeal to their own personalities, and then…who knows? There really isn’t too much discussion of politics in this book: the Tsar’s censors would not permit it. There is a lengthy discussion of a sewing cooperative that goes swimmingly, of course, and is presented as a model of socialistic, un-alienated work, but much is presented only allegorically, or hinted at very obliquely. There are several long dream narratives presented as set pieces, introduced by the author-narrator, that comment on the plot or present utopian futures. 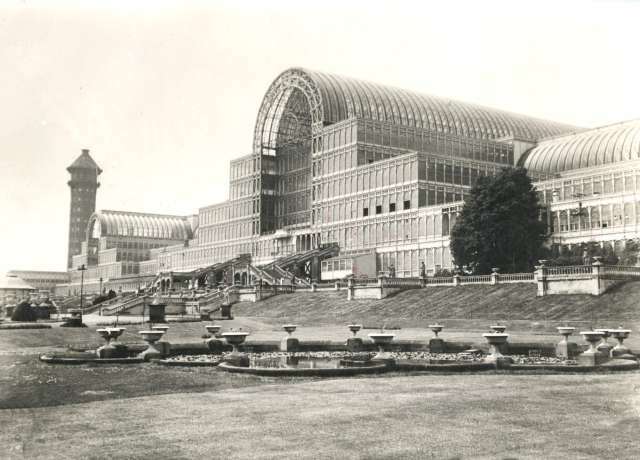 In one of them, The Crystal Palace appears as the symbol of the utopian order to come. I am a sick man. I am a spiteful man. I am an unattractive man. I believe my liver is diseased. And I am with you, Fyodor! If one were to ask for the title of the nineteenth-century Russian novel that has had the greatest influence on Russian society, …a non-Russian would choose among….Fathers and Sons, War and Peace, Crime and Punishment…No, the novel that can claim this honor with the most justice… What Is to Be Done?… No work in modern literature, with the possible exception of Uncle’s Tom’s Cabin, can compete. Unlike that American novel, another that took me time to get around to reading, and which I found to my surprise to be a stunningly powerful work, What Is to Be Done? is simply awful as literature. There’s no getting around it. It’s clunky, talky, the characters are allegorical and speak in the most stilted way imaginable, and in addition, the author had to use ‘code’ to get by the censors of the Tsar. The plot is a soap opera about idealistic young people who are, we gradually realize, members of a revolutionary movement, yet politics is not the focus of the book, but the liberation, legally and sexually, of women is. Strange to think that this is the book that set the Bolsheviks in motion, but Lenin himself, besides his homage to the book’s title, energetically defended the novel against critics. The book is also quite strange: Chernyshevsky frequently indulges in meta-literary interludes, addressing the ‘dear reader,’ hinting at what’s to come, congratulating us for already knowing what’s to come, psychologizing his characters, and generally managing the action like a vaudeville impresario. Yet, this was the book that led to the October Revolution! The nihilistic revolutionaries of the story are pretty nice, wholesome, energetic, idealistic guys and gals, for the most part. They just happen to be atheists and thoroughgoing materialists. Chernyshevsky uses the story to espouse his theories of ‘rational egoism,’ which is a radical distillation of English utilitarianism: all people act for advantage; there is no morality, there is only calculation of what one’s advantage is. The same old rubbish: man is motivated by two things: the desire for pleasure and the desire to avoid pain… But because of the importance of the book, and, oddly, because it is chock-full of ideas, even if they are expressed in a wacky manner, it is, honestly, fascinating! Until very recently no one knew how to restore such fields to health; but now a method has been discovered. It’s called ‘drainage’. Excess water is channeled off into ditches, leaving only the required amount. I always knew that Drainage would serve The Revolution. I will post more when I finish it. 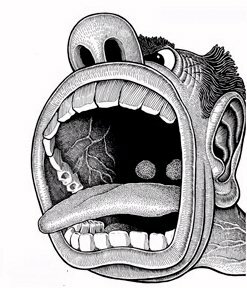 …he snatched out the revolver and pointed it straight into the open mouth of the still screaming Lyamshin, whom Tolakchenko, Erkel and Liputin had already seized firmly by the arms, but Lyamshin went on shrieking even in spite of the revolver. Finally, Erkel, somehow bunched up his foulard and stuffed it deftly into his mouth, and thus the shouting ceased. Meanwhile, Tolkachenko tied his hands with a leftover end of rope. Can we say that anything has been resolved, when we have young people like this in town who gape at suicides for fun? Stepan Verkhovensky, the stuffy old-time liberal is aghast at the events in the town, and at the role his son played in organizing it all. He glimpses the truth that his own abstract, self-satisfied intellectual games helped set the stage for it, and shattered by the knowledge, he sets off wandering in Russia, like King Lear on the heath. Still, he remains absurd, childishly seeking a new female protector in the person of bible saleswoman he happens upon, and he still utters French expressions as would any self-respecting member of the intelligentsia. So much for finding the real Russia. Much has been said of the unevenness of The Possessed: Dostoyevsky has been accused of creating caricatures rather than characters, and of exaggerating the imbecilic nature of his “anarchists.” Several close readings of the novel have convinced me that this is not the case. Of course if The Possessed—like any of Dostoyevsky’s work, beginning with The Double—is measured against the conventional standards of naturalism, it will seem somewhat feverish and improbable: but so will King Lear and Hamlet. No need for education, enough of science! There’s sufficient material even without science for a thousand years to come, but obedience must be set up. Only one thing is lacking in the world: obedience. The thirst for education is already an aristocratic thirst. As soon as there’s just a tiny bit of family or love, there’s a desire for property. We’ll extinguish desire: we’ll get drinking, gossip, denunciation going: we’ll get unheard-of depravity going: we’ll stifle every genius in infancy. In the meantime your whole step is towards getting everything destroyed: both the state and its morality. We alone will remain, having destined ourselves beforehand to assume power: we shall rally the smart ones to ourselves and ride on the backs of the fools. You should not be embarrassed by it. This generation must be re-educated to make it worthy of freedom. There are still many thousands of Shatovs ahead of us. And, in the end, what is to be done? I will go on to read just that novel since it appears to be one of the most influential in the history of 19th century Russia. The Foundation Pit, by Andrey Platonov is a short novel writen around 1930, but not published in Russian until the 1950s. Platonov was an enthusiastic supporter of the Revolution, but came to understand firsthand its horrific consequences for the rural peasantry. Unlike a lot of Soviet intellectuals who had their doubts about Comrade Stalin’s methods, and who were only at home in the cities, Platonov travelled and saw by himself what was going on during the period of forced collectivization and de-kulakization. The kulaks (from the Russian for tight fist) were so-called rich peasants who would naturally tend to resist being forced to relinquish their property and livestock to join a collective. In fact, any peasant who had any property at all could be deemed a kulak, and they were deported en masse to various parts of the USSR, with large percentages of them dying on the way. 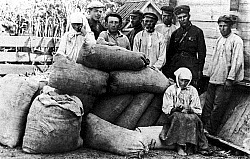 The master plan was to force the rural masses to supply grain to the cities, where Stalin’s breakneck industrialization program was centered, and to supply the grain on demand, as called for by the central bureaucracy, regardless of what a fair price would be or what the rural nutritional needs were. As a result, millions starved. The incredible brutality of this policy caused a split in the Party, with horrific consequences. The book is rather difficult to read despite its brevity. It begins and ends at the site of an enormous excavation for a housing project’s foundation, although it isn’t all that clear if the work is being carried forward in any rational manner, and in between there is a long section that takes place in an agricultural village where a party functionary, known as The Activist, is pushing along the collectivization program. The story is structured like a fable, almost a fairy tale, but the landscape is bleak, and people speak only in political sloganese. In fact, the language of the text is what is most difficult, for every sentence seems to contain within it many allusions, parodies, sarcasms, and deep ironies. Readers who are not familiar with early Soviet culture and its controversies are likely to be mystified, or bored. The weird language that Platonov creates seems to be mirror of the weird, irrational, tortured state to which Soviet society was reduced during the era of the purges and collectivization. It seems to mock its speakers with its haywire intellectual pretensions, and sometimes notes of intense tragedy break through, in spite of it. Chiklin and the hammerer [a bear that acts like a human – often found in Russian folklore] further liberated another six huts that had been built with the flesh of poor laborers, and then returned to the OrgYard where the masses, now purged of kulaks, were standing in expectation of something. Zhachev, a legless veteran of the “imperialist war” watches the kulaks float away. By then, the kulak river transport had begun to disappear around a bend, behind the bushes on the bank, and Zhachev was loosing the appearance of the class enemy. “Fa-are we-ell parasites!” Zhachev shouted down the river. “Fa-are we-ell! responded the kulaks floating off to te sea. Does he loose site of the kulaks, or does he cease to see them as class enemies once they are reduced to their helpless state? Does he know which? Later, the activist is made frantic by a directive from on high that states that many people like him have gone too far, undermined socialist progress, maybe even been wreckers! Such forward and backward leaps of policy, leaving the fanatical and the opportunistically faithful vulnerable to purges were common, and completely planned by Stalin. After a while, the activist descended an inventory down onto the floor so that the child could leave a mark confirming receipt in full of all the property acquired in life by the landless laborers who had died without kin and stating that she would put this to good future use. Nastya [who dies at the novel’s end] slowly drew a hammer and sickle on the paper and handed the inventory back. A symbolic exchange. Note the weird verb cases – “descended an inventory down onto the floor…” This is not a poor translation, it’s a deliberately odd use of the passive voice, mocking, I think, the pseudo-scientific, objective prose to be found in so much communistic hack work. Somehow Platonov survived to die in 1951 from the TB he caught from his son who was sent to the Gulag at age fifteen. As credit-crunched citizens of the world unite to scream “Off with their heads!” at bankers, who will protect the money-spinning classes from the howling mob? Step forward Barbara “My extravagance knows no bounds” Amiel. In an extraordinary article for the current issue of the Canadian magazine, Macleans, Lady Black compares the treatment of bankers to that meted out to the intelligentsia in Mao’s China and the kulaks in Stalinist Russia. This, of course, would strike a chord with Amiel, whose husband is currently serving a 6 ½ year jail sentence in Florida for defrauding Hollinger shareholders. “I suspect current economic criminals resemble past ones in that they come in two varieties: the ones who really commit economic crimes and the ones who are elevated by political fashion to the status of criminals. 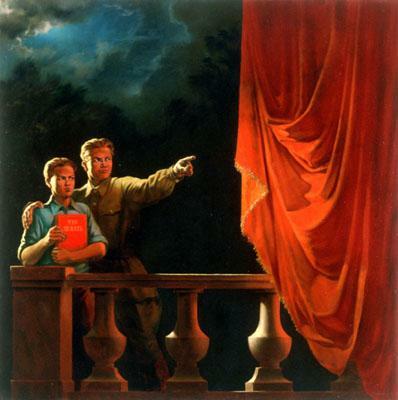 Stalin’s taste made economic criminals of the entire kulak class; kulaks in today’s America would include CEOs and Tom Wolfe’s Masters of the Universe. Certain titles such as ‘hedge fund manager’ have become terms of disapproval that trip off the tongues of people, at least half of whom I suspect have utterly no idea what a hedge fund is,” Amiel rails. Amiel concludes, “Driven by old fears and left-wing hates, we are moving to notions, à la Bertolt Brecht, that all wealth is suspect. If, as I suspect, the economy is a psychodrama, anti-market hysteria is unlikely to restore equilibrium.